All of our langet style axes are hand-forged from 4140 steel bar stock by blacksmith Brian Otto, right here in northern Michigan. 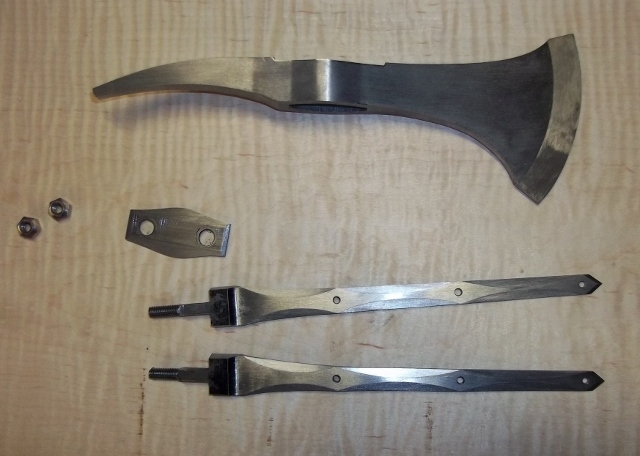 After being hand forged, the axe head is hardened and tempered using a 5 hour process. 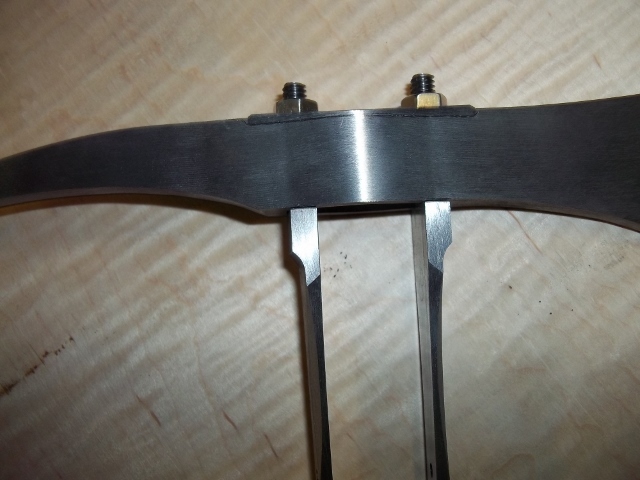 While time consuming, this process is used because it relieves brittleness and retains more of the hardness than commonly used, faster tempering processes. Using this process produces a blade that holds an edge well. 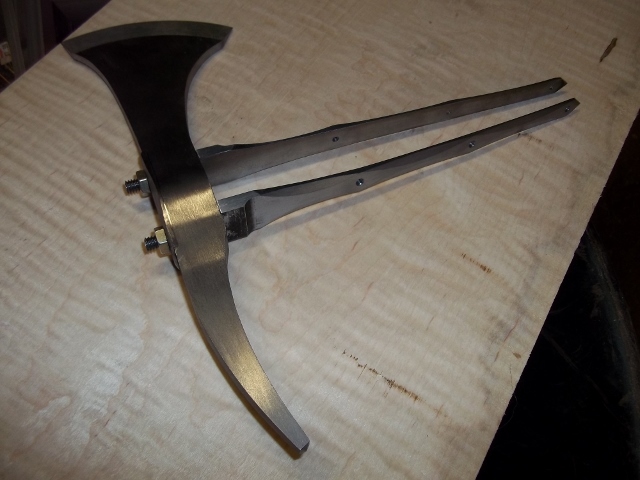 Our langets are riveted to the handle and extend all the way up through the head - secured with nuts on top. 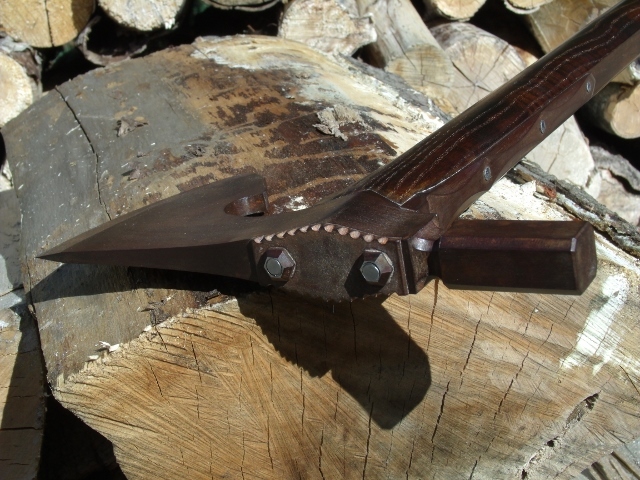 This strengthens the connection of the steel head and wooden handle. 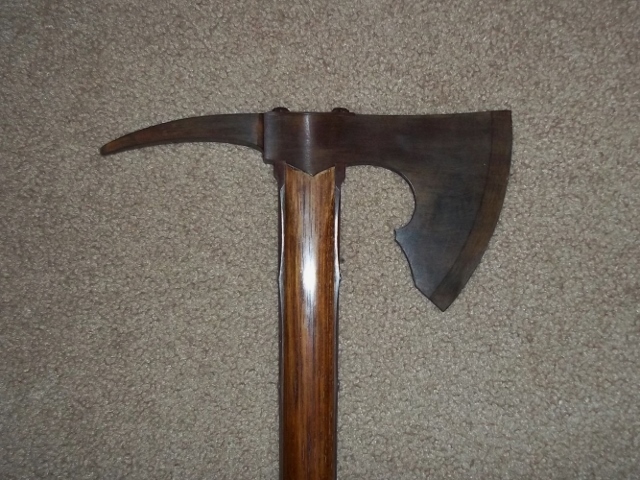 The langets also add to the appearance and balance of the axe. Although the langets are labor intensive, they greatly increase quality and durability in the finished product. Each axe handle is designed and hand-crafted specifically for its head to enhance its beauty and balance. While the superior craftsmanship of each axe makes it beautiful enough to display, you will find it too useful to put on a shelf. 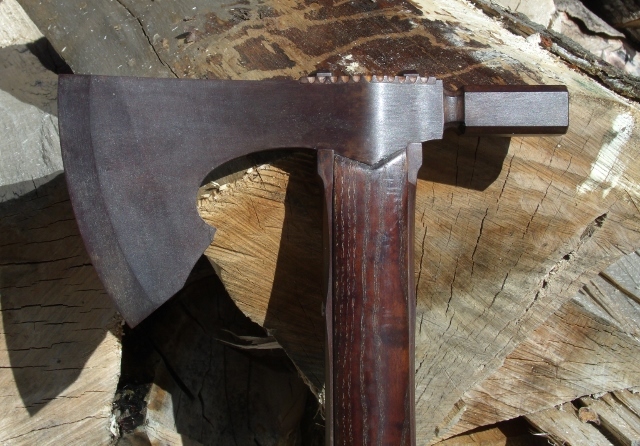 Once you use one of our langet axes, you will want to carry it with you on all your outdoor excursions! 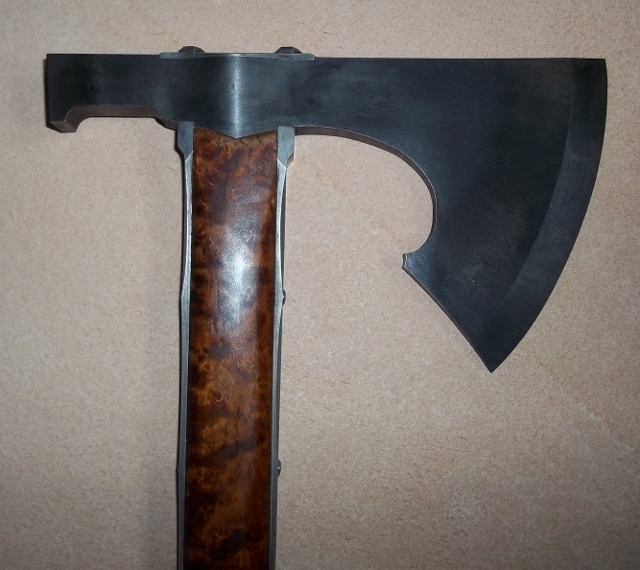 Our langet style axes can be made in small versions (hatchet/tomahawk size) or up to large, two-handed versions.